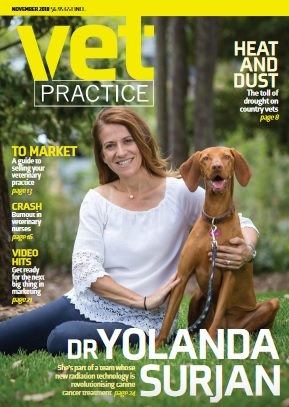 The innovative work of Dr Yolanda Surjan is bringing radiation therapy into veterinary clinics. Radiation therapy is a vital branch of cancer medicine. It can be used as primary treatment, as adjuvant therapy or it can be integrated into palliative care. Exposure of cancerous cells to ionising radiation introduces DNA damage, which in turn triggers cell death. Unsurprisingly therefore, radiation therapy services and specialists are typically found in hospitals and health service departments. 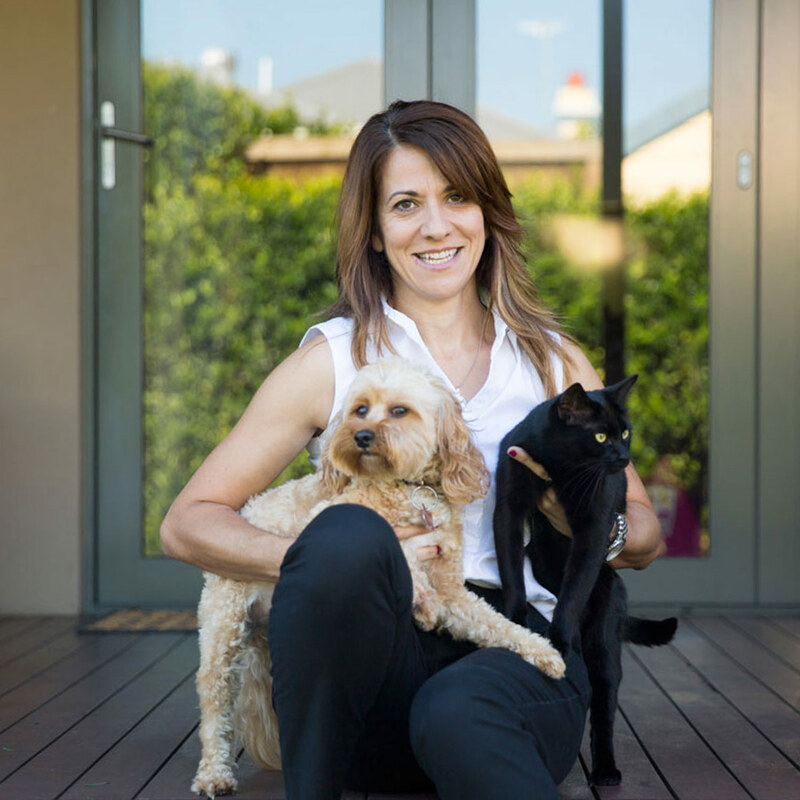 Thanks to the innovative work of radiation therapist Dr Yolanda Surjan, it won’t be long before they’re a common feature of veterinary clinics too. When Yolanda first heard that some veterinary clinics were using radiation therapy, she was keen to learn more. Those early discussions triggered the beginning of Yolanda’s PhD project. 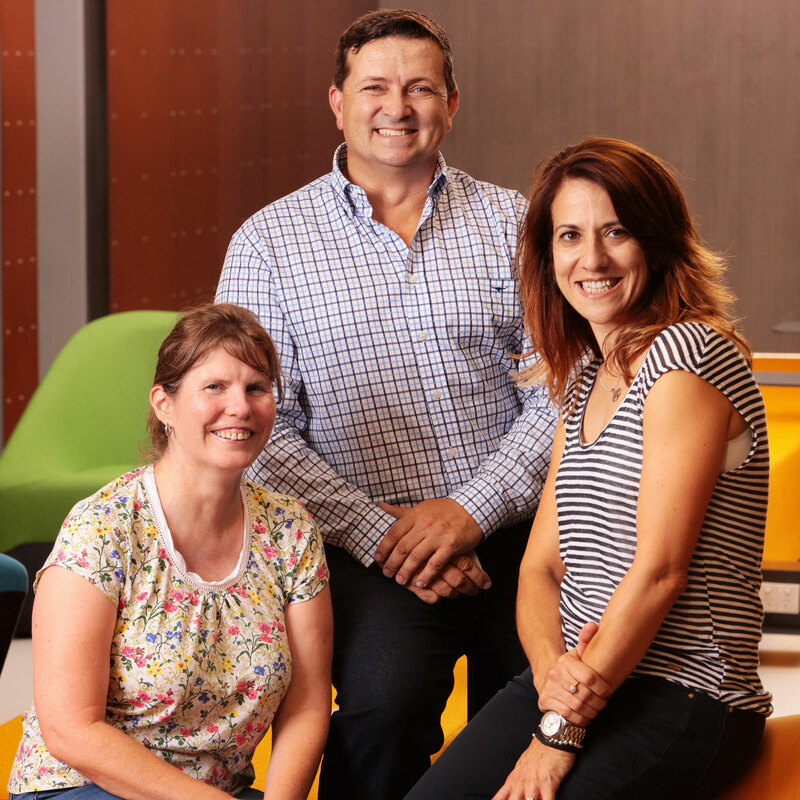 Supervised by UON’s medical physicist, Associate Professor Helen Warren-Forward, and Director of Chris O’Brien Lifehouse Radiation Oncology and Medical Services, Associate Professor Christopher Milross, Yolanda’s project sought to clarify the current state of veterinary radiation therapy. “I completed a retrospective study on what had been done in the past, and I slowly developed more contacts in the veterinary field. It was a bit of a brain strain getting all of that information together." Although it is legal for vets to use this type of therapy, there are few protocols to follow and no rigid planning systems in place. Improper use of radiation in medicine is extremely risky - it can leave animals permanently disfigured. Having submitted her PhD in 2015, Yolanda applied for the Gladys M Brawn Fellowship in the hope that relief of her teaching load might help her progress with the translation of her research. Another highlight of Yolanda’s career, which has also enabled her to work on the translation of her PhD findings, has been her participation in CSIRO’s On Prime industry accelerator program. Yolanda set to work developing a multi-disciplinary team, which at present consists of a radiation oncologist, a medical physicist, a vet, a business specialist, a consumer and Yolanda herself. “The ON program has helped me focus on how to translate my research idea into practise and how to commercialise it." Indeed, in moving forward with her project, Yolanda has been in consultation with a diverse array of stakeholders, including equine and small animal vets, industry partners, insurance companies and animal owners. Yolanda’s team were one of 10 teams selected to take part in the third stage of the national sci-tech accelerator – helping hone their business planning skills to pitch to potential partners and investors. It’s been a dizzying experience – and one that’s helped Yolanda move one-step closer to her goal. 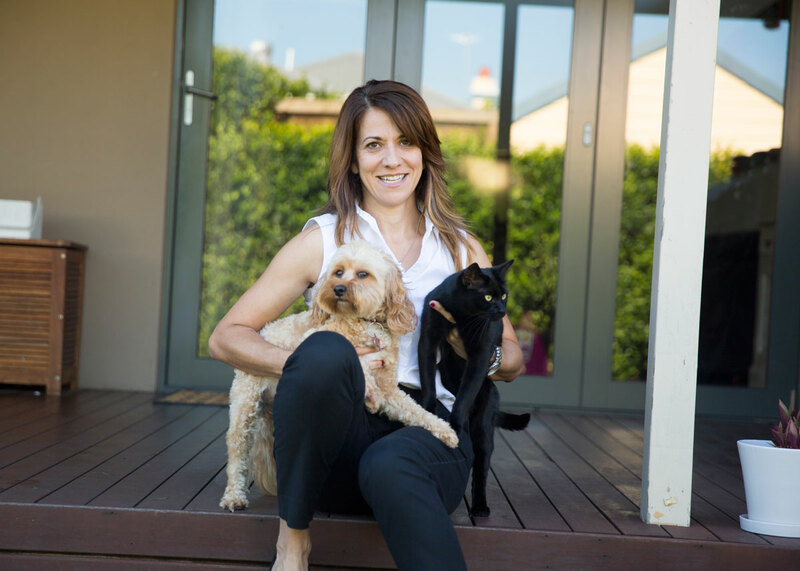 Yolanda intends to establish a clinical trial investigating the application of radiation therapy on skin tumours in horses, cats and dogs. She also aims to instil adequate training of veterinary staff such that radiation therapy can be safely embedded into routine practise. “We know there’s a need out there – there’s a customer base for sure." Vast differences in the rigidity in regulation between animal and human health practises may have given way to some risky practises in the past, but this flexibility has also meant that Yolanda’s plans have the potential to come together much faster than if she were focused on a human cohort. “The animal kingdom is very different – things are able to tick over very quickly." This pioneering approach to research translation has won Yolanda UON’s inaugural Chancellor’s Award for Innovation. This award consists of $10,000 towards the development of her project, as well as ongoing support from UON’s Business Development Team. “We already have four clinics on board – two of which I approached and two of which approached us once they had heard about our research." The innovative work of Dr Yoland Surjan is bringing radiation therapy into veterinary clinics. Yolanda Surjan is a Senior Lecturer in Radiation Therapy. 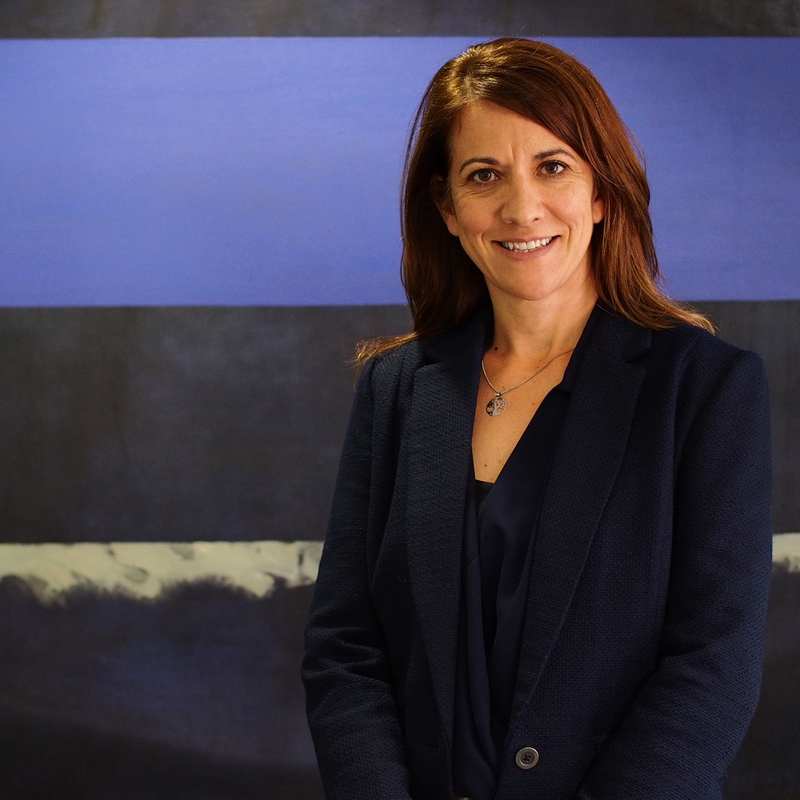 She holds a Bachelor of Applied Science (MedRadTech), a Graduate Certificate in Health Promotion (University of Newcastle) a Masters in Health Science Education (University of Sydney) and a PhD (University of Newcastle). Yolanda has worked internationally in the United Kingdom as a radiation therapist and has extended her expertise and knowledge through international visits and/or training in North America and Europe. Dr Surjan has been the recipient of five teaching awards including the Australian Learning and Teaching Council (ALTC) Award for Teaching Excellence (2010); a NSW Minister for Education and Training Quality Teaching Award (2009); a Faculty of Health and Medicine Excellence in Teaching Award (2008) and two Vice-Chancellor's Citations for Outstanding Contributions to Student Learning (2008 & 2013). Dr Surjan's program of research focuses on two distinct areas of study; evaluation of teaching and learning practice of undergraduate health professionals (radiation therapists) and research in the area of radiation therapyclinical applications in the context of translational research in veterinary cancer treatments. Dr Surjan's interest in Teaching and Learning research stems from the importance of graduating high-quality health care professionals to improve health care outcomes. Her research includes the following themes: clinical reasoning, effective communication, the first year student experience, interprofessional education and student engagement in learning through the delivery of innovative techniques. In 2013, Dr Surjan was the lead project manager on the development and opening of the Radiation Therapy Simulation Laboratory at a cost of $327,000, jointly funded by The University of Newcastle and Health Workforce Australia. The UON Radiation Therapy Program now boasts a complete suite of clinical applications to mirror current clinical practice; RT Simulation Laboratory, Eclipse Planning Software for treatment planning and the 3-dimensional Vertual (VERT) Training System. Research stemming from Dr Surjan's PhD studies has identified the critical need for an expert-led movement to translate current evidence based effective treatments for ocular skin squamous cell carcinoma (in humans) to our veterinarian counterparts, with a particular focus on horses. Dr Surjan is committed to collaborative research and has international affiliations with experts in the field of equine ophthalmology in the UK as well as working relationships with multiple experts in the field of radiation oncology and medical physics in oncology. Dr Surjan is committed to supporting research higher degree students and actively recruits current clinicians to contribute to cancer research collaboratively. Voted best research day by attendees. 10th research day. © 2019 The College of Radiographers Introduction: Radiation therapy students need to demonstrate appropriate communication skills when entering the clinical environment. To assist students with preparation for their first clinical placement a clinical reasoning module comprising theory and practical sessions was developed. This paper describes the module and presents the results of student evaluations. Methods: The module consisted of lectures, observational role-play and participatory role-play. Students were ultimately tasked with providing information to a simulated patient (SP). Each student received feedback independently from the SP, peers and facilitator. At the conclusion of the module, students had the opportunity to provide feedback via an anonymous survey (8 Likert scale questions with space for written comment). Data was analysed both quantitatively and qualitatively. Results: Four hundred and thirty seven students were enrolled in the course between 2008 and 2016 and the response rate of the survey was 93%. Even though most students reported some level of anxiety before and during the role-play sessions, the majority of students perceived all aspects of the module to be extremely/very useful. The most useful aspect of the module (Likert scale assessment) was the feedback provided by the SP. The two most important themes arising from the thematic analysis were gaining an understanding of the role of the radiation therapist and the complexities of patient interactions. Conclusion: Overall, the module was deemed successful with students becoming conscious of newly acquired clinical knowledge whilst acknowledging patient feelings during interactions. Collaborative critiquing contributed to students&apos; ability to self-reflect to improve clinical interactions. © 2014 The College of Radiographers. Objective: To examine current knowledge and the level of compliance of radiation safety principles in equine veterinary clinics within Australia. Method: Surveys were sent to equine veterinary surgeons working in Australia. The survey was delivered both online and in hardcopy format; it comprised 49 questions, 15 of these directly related to radiation safety. The participants were asked about their current and previous use of radiation-producing equipment. Information regarding their level of knowledge and application of radiation safety principles and practice standards was collected and analysed. Results: The use of radiation-producing equipment was evident in 94% of responding clinics (a combination of X-ray, CT and/or Nuclear Medicine Cameras). Of those with radiation-producing equipment, 94% indicated that they hold a radiation licence, 78% had never completed a certified radiation safety course and 19% of participants did not use a personal radiation monitor. In 14% of cases, radiation safety manuals or protocols were not available within clinics. Conclusions: The study has shown that knowledge and application of guidelines as provided by the Code of Practice for Radiation Protection in Veterinary Medicine (2009) is poorly adhered to. The importance of compliance with regulatory requirements is pivotal in minimising occupational exposure to ionising radiation in veterinary medicine, thus there is a need for increased education and training in the area. This review examines the most commonly reported treatment options for ocular squamous cell carcinoma (OSCC) and periocular squamous cell carcinoma (POSCC) in horses and proposes to conclude on the most viable method based on available published studies in terms of treatment outcome, known side effects, advantages, disadvantages, and reliability of available evidence. After a literature search for peer-reviewed published articles, seven most commonly reported on treatments for OSCC and/or POSCC were identified: surgery, photodynamic therapy, carbon dioxide (CO 2 ) laser ablation, radiofrequency hyperthermia, cryotherapy, chemotherapy, and radiation therapy. Combination therapies were supported as a most successful recommendation; however, when considering site-specific outcomes, the following conclusions may be drawn: limbal squamous cell carcinoma (SCC) was most effectively treated with surgery and adjunctive therapy including CO 2 laser ablation, mitomycin C, and brachytherapy; third eyelid SCC reported good outcomes when treated with surgery alone (clear margins) and in combination with brachytherapy for unclear margins; eyelid SCC, surgical resection was usually limited and most reports supported the use of adjunctive brachytherapy, although photodynamic therapy appeared to be a promising new treatment. It was deemed unreasonable to conclude on the best treatment for cornea, conjunctivae (palpebral and bulbar), and medial canthi in isolation because of lack of evidence. A consistently favored treatment for OSCC and/or POSCC in horses does not currently exist. The presentation of data in the literature and its lack of consistency make it impossible to statistically analyze and make comparative conclusions on treatment outcomes. This review provides a basis for further research to establish a best-practice protocol. © 2014 Elsevier Inc. All rights reserved. 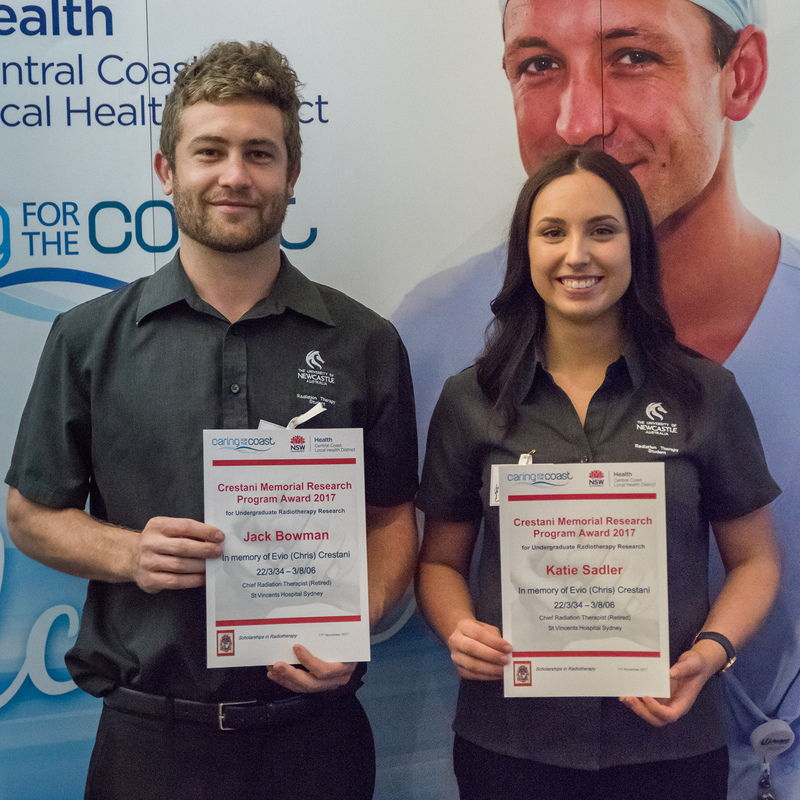 ELEKTA has provided the UON RT Program with an in-kind donation of Radiation Therapy-specific Software that will contribute to the education, research and development of Radiation Therapy Professionals within the Australian community. The $327,000 lab was funded by the University and the Australian government (HWA): project manager - Dr Yolanda Surjan. A team of UON researchers is one step closer to having their research innovation delivered through a national acceleration program. 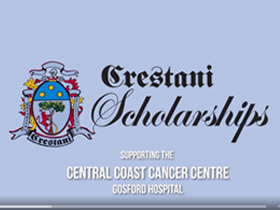 At the Annual Awards Evening On Friday 16th November 2018, seven young professionals received scholarship awards from the Crestani Scholarships Program. 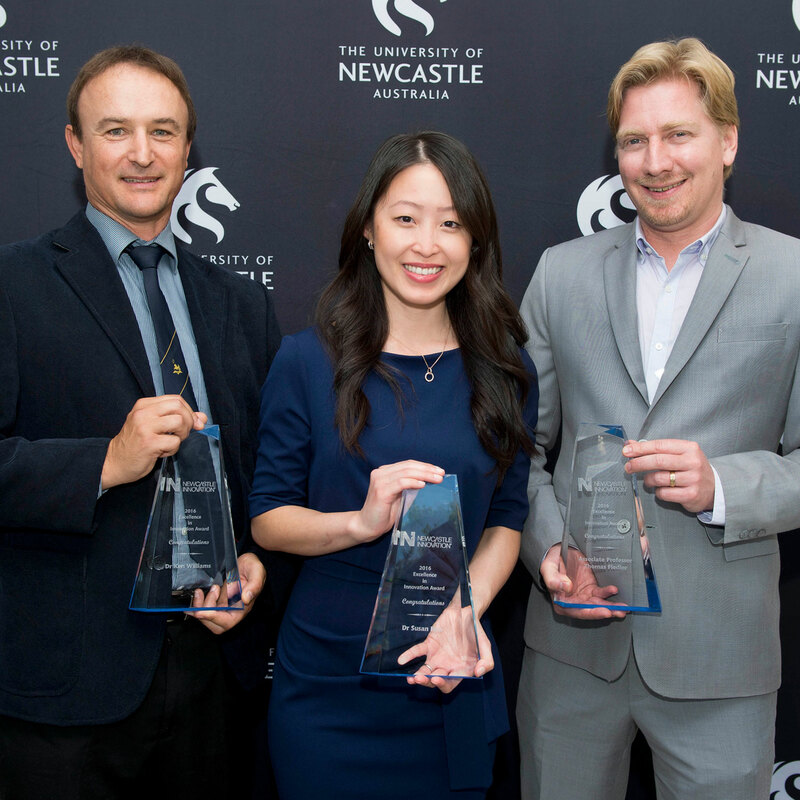 Three University Of Newcastle teams will successfully test their research and ideas with the CSIRO’s On Prime pre-accelerator program.